Heated, Cooled Laguna Leather Captain Seats! All the latest technology! Adaptive Cruise Control, Forward Collision Warning, Blind Spot Monitoring! SUV Shopping? 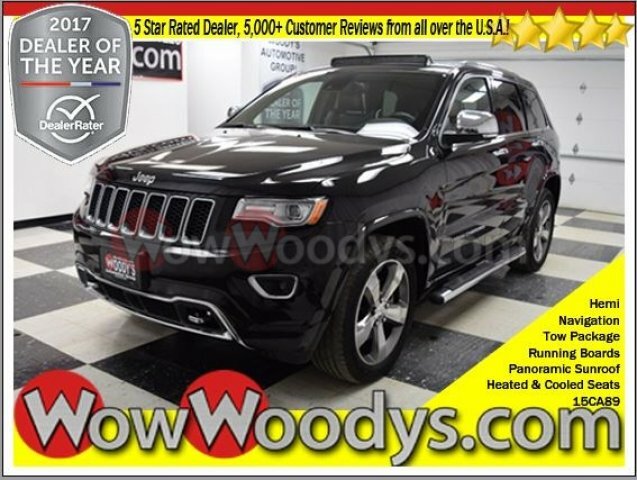 New 2017 Jeep Grand Cherokee SRT for sale Greater Kansas City! Sporty, Family Friendly, and Fun! This 2017 Jeep Grand Cherokee comes equipped with; 4X4, 6.4L V8 HEMI Engine, Panoramic Sunroof, Leather Heated & Cooled Seats, Dual Rear Entertainment, a Massive 8.4″ Touch Screen Media Center with so many safety features plus, Navigation, as well as a Backup Camera. We will pick you up at the airport or ship your vehicle to you! 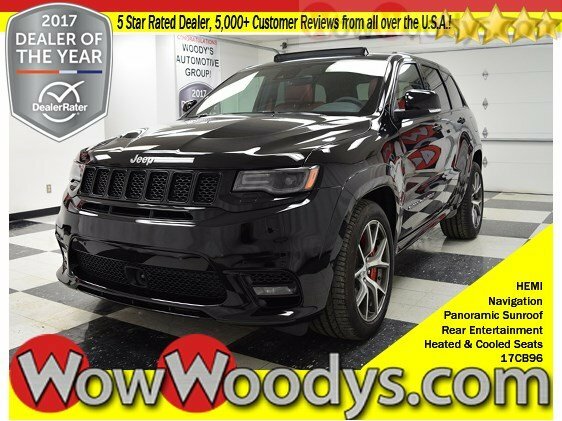 If you’d like more information about this RARE, Custom SRT 2017 Jeep Grand Cherokee SRT our huge selection of other used Make or 1000+ vehicles located in Lees Summit and Chillicothe, MO please visit our website and provide us with your contact information. One of our empowered Woody’s Automotive Group Sales Advisors will contact you promptly.